If you want to succeed as a freelance writer, you need to have a plan. It's a point frequently driven home here. But how do you get to that plan? How do you know what strategies are most likely to work? How do you know what your target clients really want? How, exactly, are you supposed to know what to do? Before you come up with a business plan or marketing plan for your freelance writing career, you should start with with some basic market research. How you stack up against that competition. It sounds like a lot. But market research doesn't have to be complicated. It's just about being aware of things that can have a direct influence on your business so you can make more educated decisions and better plans. For this week's round-up, I'd like to share some posts and resources to help you research your target market and competition, and take action based on what you discover. This simple worksheet (which will be redesigned in coming weeks, so keep an eye out for that and other updates in the writers' resources collection) will help you map out your target market. Just fill in the bubbles, then piece it all together into a complete picture. This worksheet will guide you through the process of taking what you learn in your market research and figuring out where you stand among the competition. SWOT stands for "Strengths, Weaknesses, Opportunities, and Threats." And the key to a successful SWOT analysis is being completely honest with yourself. You can't harness strengths or overcome weaknesses if you can't admit to yourself what those are. This post shares four simple tips for gaining insight into your target clients and your key competitors. These are easy things any freelance writer can do -- no budget or special tools required. In this post, I share a common mistake freelance writers make when targeting prospects -- waiting on the "perfect" client. Here I show you what you should try instead. A part of any marketing plan involves having a unique selling proposition (or USP). You may have seen this mentioned on the target market planning worksheet linked above. Basically, this is about your position in the current market, among your current competition. Learn more about what a USP is and how to figure out yours in this post. Here are five more resources to help you get a jump on your market research and understanding your competition. While this article isn't directly about freelance writing, it gives a good introduction to the types of research and data you'll use in your own market research. In this post, Johnson shares some tools you can use to help you learn more about your target freelance writing clients and what they need from you. In this post, Masters gives you an introduction to both competitive research and target customer research tactics. This post focuses on search engine ranking competition rather than broader freelance competition. But they're often one and the same. 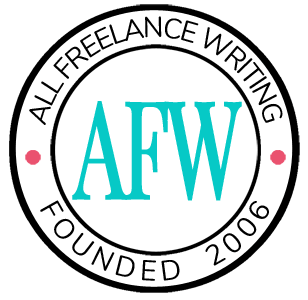 When your ideal clients search for a freelance writer in your specialty, you want them finding you first. That starts with understanding who your competition is, and this article can help. As writers, content will likely play a big role in your marketing strategy. In this post, Bharath teaches you how to come up with a better content plan based on your competition. Have questions about researching target markets and your competition as a freelance writer? Send in your questions, and I might answer them on the blog.